Enter off US 101 to Patriot Way (main gate). It is well marked. Stop by the Billeting Office ( first street to the left) to get signed in and obtain the key to unlock your electric box at your site . Camp is 9 miles from Seaside, Or. and 7 miles from Astoria. Reservations for Active and Retired Military is 90 days. 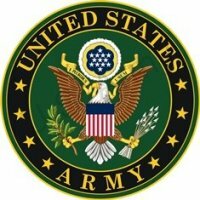 Active Duty on military business may book 12 months out. Wifi available at Koski Hall bldg. 7300. Pets allowed with normal leash and clean-up rules. House/Cabin/Cottage rentals available with 1 to 4 beds - prices vary on type of rental and time of the year. The campground has been totally renovated with full hookups, paved with blacktop. Experience the Pacific Ocean at it's finest. This is a Army National Guard training base. 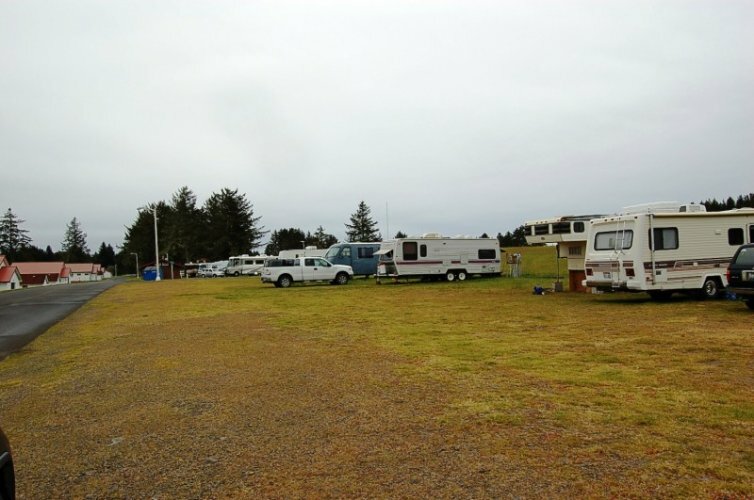 The base grounds are immaculate and the rv area is newly paved and spacious sites. Check in is easy and the laundry room has 10 washers and dryers at 0 cost (FREE). The Oregon beaches are very close and public friendly with many in the area. Would definitely stay here again. Great post! We had no problem making reservations and access to and driving on the post is very easy. The entire staff is very pleasant and make sure to take care of every detail. The post is tidy, mowed, quiet and very clean. 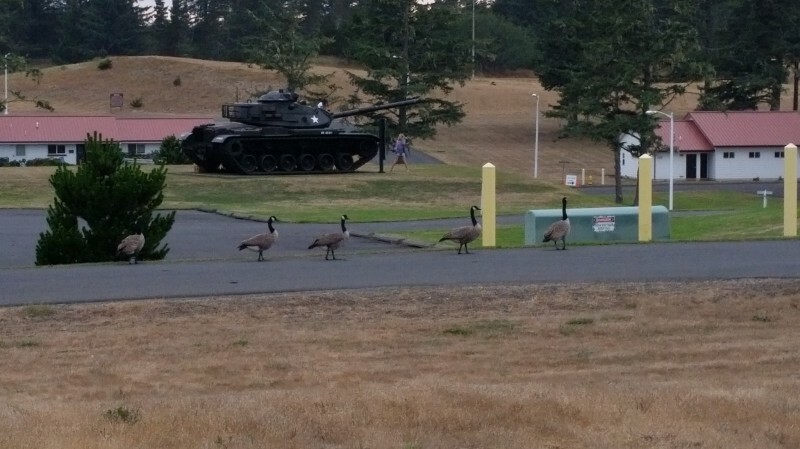 It's very obvious the Oregon Army National Guard takes a lot of pride in the facility. The post has a beautiful laundry too. You pay $5.00 for the Door Entry Card and from there everything is free. 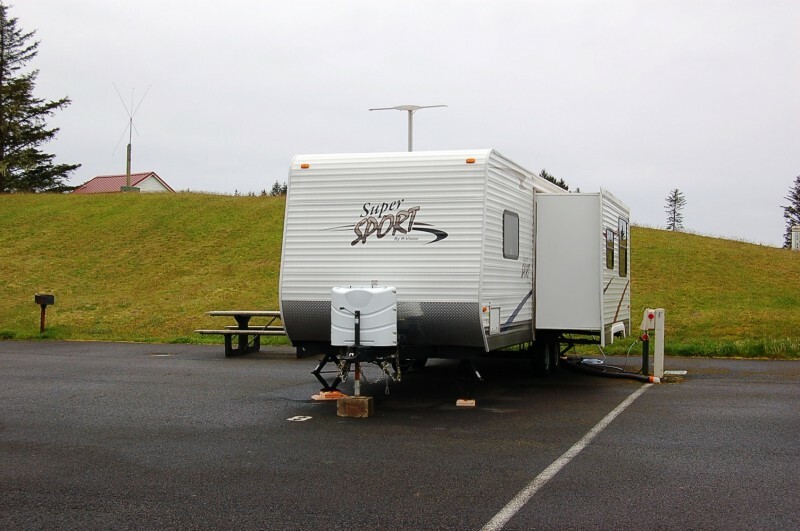 As others have mentioned, the RV Park is along the side of a large paved parking area. There are no picnic tables and the sites are a bit tight. Sites are divided by painted lines, are about 20 feet wide and easily 75 feet deep. Plenty of room for the largest rigs. There is no CATV as this site states. It may have been discontinued sometime in the past. The smaller Exchange is reasonably good for such a small post carrying snacks, various drinks, cigarettes, and general household products. If you need anything more there’s a new Walmart Supercenter about 1.2 miles north on 101. It’s so new, it’s not yet on Google Maps. Don’t miss the Friday and Saturday night Prime Rib dinner with Salad Bar at the Port Light Cafe on post. It’s fabulous for $17.95. If you want to use DISH Satellite TV, it works well on Sites 6 to 10 as Sites 1 to 5 are blocked by trees. You may want to keep this in mind when making reservations. Getting to the beach is easy too. You could stop by Range Control and get a pass to drive your vehicle on the range roads and park about 500 feet from the beach. OR, you could exit the post and drive 1.5 miles south taking a right onto Sunset Beach Rd. With this you can drive straight onto the hard-packed sandy beach and easily drive a few miles in either direction. For those wanting to do some fishing, there's a fresh water lake on post, a few minutes drive from the RV park. Though I didn’t have a pole, a neighbor of mine brought me three large trout last night. He used night crawlers bought fresh from Walmart. We will definitely stay here again. Can'r give an honest review as like so many, unable to get thru on the reservation line. Called two weeks out for a Aug 8th campsite. No luck so we stayed at Ft Stevens Campground. Very nice but lots of people. Not noisy. I did get a call back after I left two messages, but by then, I had already got into Ft Stevens. On the return call from the Camp, a unfamiliar number popped up on the iPhone, +40 18 Romania. I let it roll over to voice mail. When I checked it was the Camp Rilea reservations. I did not call her back and there was no detectable accent on the voice mail. Didn't have any problem making reservations. Very clean, good local over the air TV, but NO WIFI! Koski Hall has some international trainees and the wifi is off. None available anywhere else on base that we could find. Four of the ten spots were taken by some sort of shelters. 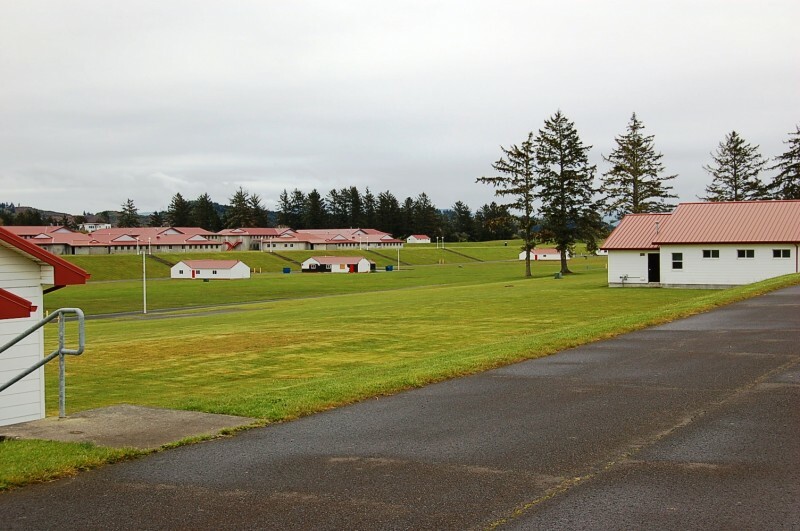 The location is very good for seeing Ft. Clatsop and an interesting State Park - Ft. Stevens. There's also an elk herd on the base that can be seen in the evenings. I've stayed here before and dealt with the nightmare of trying to get someone on the phone for RV site reservations before. This time I searched online and got a different number, 503-836-4076. The number came from this site, http://www.oregon.gov/OMD/OTC/CampRilea/Pages/RangeStatus.aspx under Lodging Duty Staff. Someone answered and helped me. I don't know if this will always work but it is another way to try. Good luck. Ah, this was a different experience for us. We've been to many famcamps and this was not our usual expected experience. We tried to make reservations but no one would call us back. We drove up to the gate and the gaurd told us we had to go somewhere else. He explained the lodging office was closed and they wouldn't allow anyone to stay the night and settle up in the morning. The town has an ordinance prohibiting over night parking so we went on to Stephens Park. Thank God they had a spot. They were full but after explaining to them, they put us in one of there host sites. The following morning we drove over to Rilea lodoing to see if we could get in. They said they call everyone who leaves messages. No, not all calls. I got a call the afternoon we checked in. So it was back to Stephen park to move the rv for one night. We thought it was a good price and since it took up part of our day we'd stay 2 more nights. That didn't happen. They told us someone was due in our spot the next day. So this wasn't a good experience for us. Definally didn't feel welcome here. Call and if you're passing through get there before lodging closes. They close earlier than other bases. I think it was 4pm or 4:30pm. They do have beautuful old structures, neat grounds. I have been trying for a week now to get hold of someone to make a reservation. No one answers the phone. I repeat my phone number twice on the message to make sure that it is understood and they are able to write it down. No one returns my phone call. Is there an alternate phone number? After leaving Beale AFB and traveling for four weeks, we finally arrived at Camp Rilea Military Recreation Area for a six day stay. 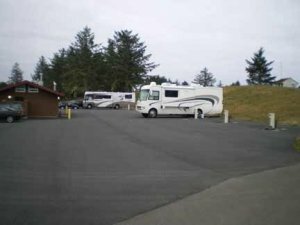 We stayed at several private RV Parks during our travels in California and along the Oregon coastline. The rocky Oregon coastline is absolutely beautiful and a shutterbug’s paradise. Walking on the beaches at low-tide is a priceless and rewarding experience. Traveling west on California Highway 299 and then north on US-101 is some-what challenging but the scenery is well-worth the effort. We found a lot of fun things to do along our route. 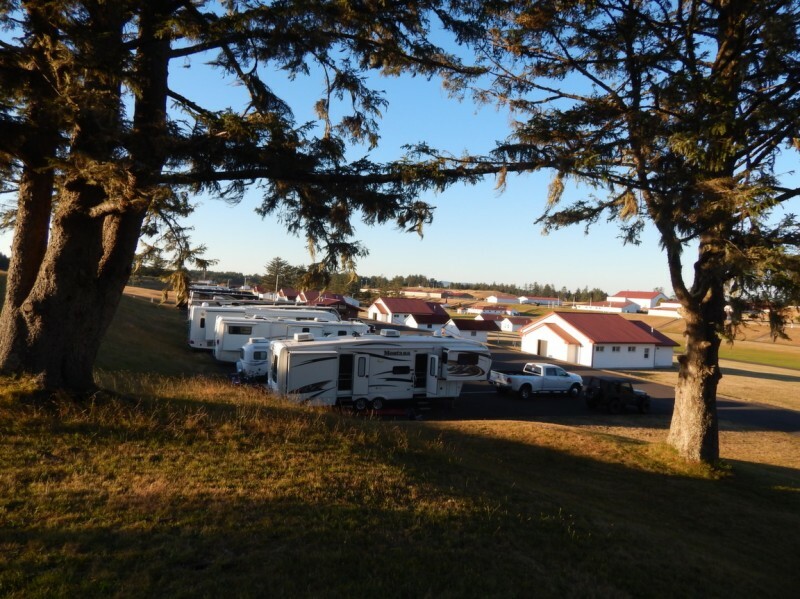 Checking-in at Camp Rilea was very simple: the gentleman at the gate was really friendly and explained exactly where we had to go to check-in at the Billeting Office; he told us where to park our rig for the check-in process thus avoiding a turn-around problem in the parking lot. ; the active duty soldier at the Billeting Office was also very friendly; we were given an envelope with a map of the Post and a key to the site electrical pedestal. Experiencing such a friendly welcome set a good tone for our visit. All the sites in the RV Park are back-ins, some are on an asphalt paved surface and others on grass. There is plenty of room to maneuver while backing into the site. 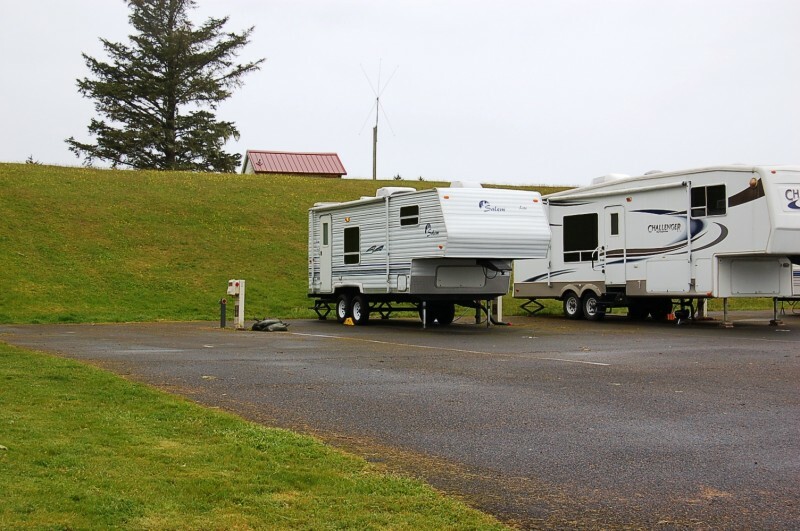 The length of the sites can easily accommodate the largest RV’s along with tow/towed vehicles. The width of the site is about twenty-two feet which seems to shrink considerably when you have slide outs on both sides and your neighbors also have slide outs. Previous reviews have mentioned that the RV Park is a parking lot and that appears to be true. We did not come here with different expectations. 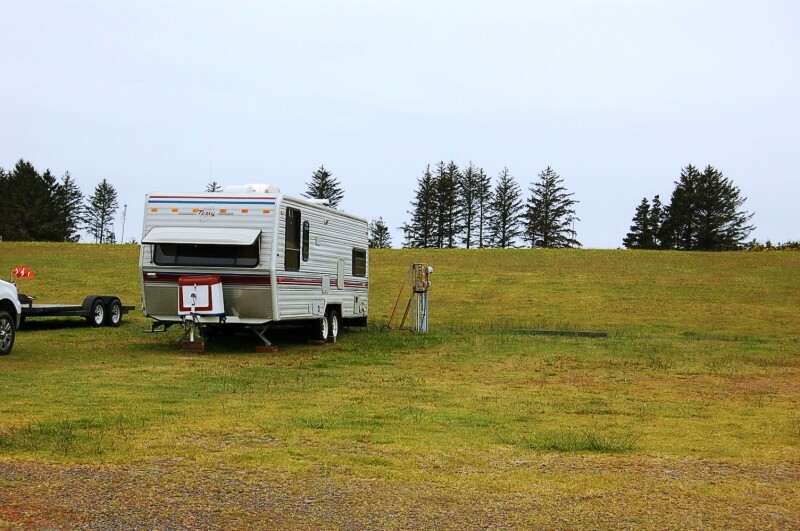 We just wanted a safe, quiet place to stay while we took day-trips to local attractions and enjoy our “do nothing” days which means going for walks and just hanging out at the RV Park. The Post is small, quiet, and well-maintained. We did get an unadvertised Kodak moment; we watched five elk grazing on the hillside next to the RV Park. There are major retailers about two miles north on US-101. If you travel south on US-101 about eight miles you will be in a little town named Seaside. What you see of Seaside while on US-101 is not a very good representation of what the town has to offer. You will need to go west on Broadway to downtown and the beach. Seaside is a pretty neat place to visit with or without little munchkins tagging along. I cannot say enough good things about this little gem of an RV Park. 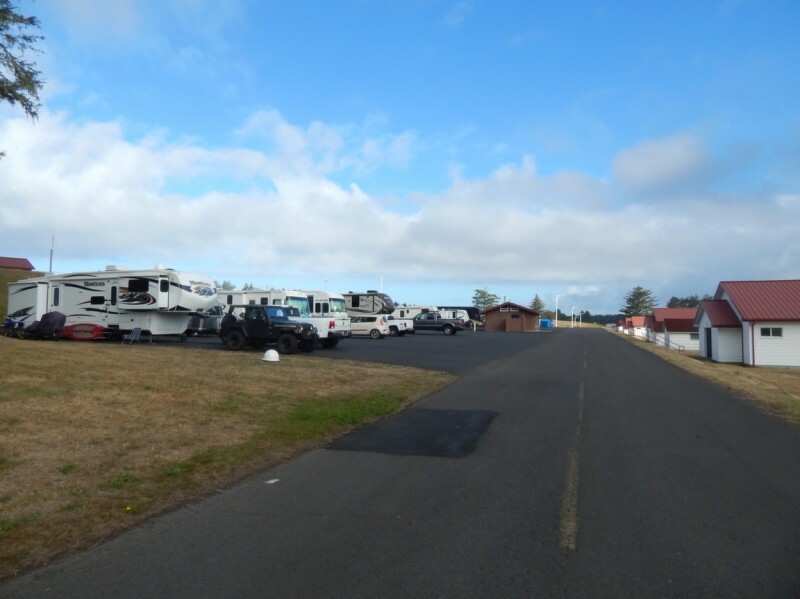 It is a tiny facility, as RV Parks go, BUT it is huge in every other way! Beautifully maintained training center and facilities. The only thing lacking is convenient WiFi access (I'll take the free laundry facility any day over WiFi, which is readily available at Taco Bell about 2 miles away). Unfortunately I am unable to review the camp itself, this is commentary on the reservation system. I called twice and left messages previously requesting a reservation. I did not get a return call. I decided to show up and see if they had any "Space A" slots. The two civilians manning the gate were extremely nice, but unable to help me. Apparently billeting goes home after hours and leaves the duties to the gate guard. He checked to see if I had a reservation, which of course I didn't. He could not tell me if there were any open slots. Upon telling them of my attempt to make a reservation but not getting a return call, one of the guards remarked to the other "We hear that a lot don't we? If she were military she would have been fired by now." This contractor apparently has a track record of poor customer service. If you can get in to the facility it is located in a nice area with access to the ocean and small towns along the coast. Stayed here 5 nights in September & really enjoyed it here. People really friendly & facilities were clean. Not much to do on base but its a great location. We were in a 39' 5th wheel & will stay here again. Definitely glad we stayed here! We camped with a 40' fifth-wheel. Location put us close to national and state parks in NW Oregon and SW Washington as well as a lot of other stuff to do in Seaside and Astoria. We were actually able to make reservations about two weeks before Labor Day weekend into the 'dry' sites for the holiday weekend then moved to a full-hookup site. The 8 dry sites w/30 amp are on grass. Showers/restrooms were clean. Firing range wasn't a problem. Training was sporadic during the two weeks, otherwise the base mostly deserted. Very quiet and peaceful, at least at this time of year. The bonus was the free laundry. Good machines and no wait. FYI, the sites are RIGHT off a road with a drop-off on the other side of the road. Larger rigs may have to do some extra maneuvering to get into spots and #8 (FHU) is positioned slightly behind the shower/bathroom building. We're new at backing up, so this was a little challenging! We would never try #8. #1 (FHU) is the site we had and there wasn't any satellite from our roof dish; we used our tailgater and no problem. And lastly, when I asked about wi-fi, I was given info for the wi-fi that's in a building down the street from the RV sites, but they also let me use computers in the classroom next to the check-in office. Everyone was very pleasant and accommodating. Lots of geese and elk viewing right around the sites. Wonderful; bit challenging getting contact with Ms. Starr for reservations. Great MilFamCamp. Just a parking lot with hookups. Was impressed with how well maintained the camp was. Troops train about 14 hours a day and seven days a week. The activity and even small arms noise was not a problem. However on Saturday morning we discovered that the live hand grenade range is right behind the rv park and do mean RIGHT BEHIND. I had forgotten how loud they are and after an hour or so we left for the day. Museums in the area and a short drive to the beach. We would stay again if in the area. J.H. left this review using the Directory software: - We'd stay there again in a heartbeat! Lots of firing on the weekend but really not a bother to us. This campground is an unpolished gem! With a little spit and shine, it could be a wonderful FamCamp! I would LOVE the opportunity to be able to do something special with this place; if only...! 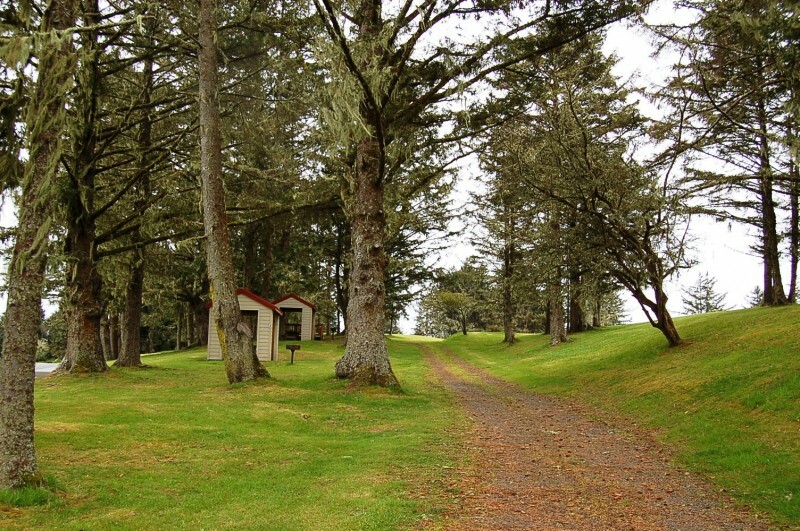 It is close to Astoria (7 miles) and it's right on the Pacific Coast Scenic Byway, right off Hwy 101. It is well-marked and the gate guards are very friendly and helpful. RVer's may not be too happy with the parking lot-type accommodations, but for tent campers, this place gets an A+ (see pictures)! Now, the amenities and facilities are still a little spartan, so I had to mark down for those; there are two small bathrooms and three showers, WiFi is only available by getting a "Day-pass" to Koski Hall, and there are no laundry facilities. 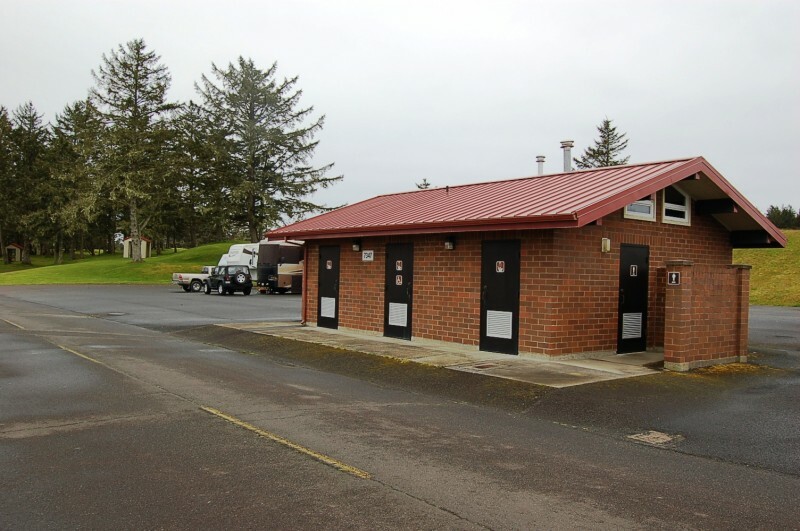 The restrooms get used by everyone, including the folks doing all the training at the range behind the campground, so they do tend to get a little dirty and could use a little extra attention. The PX/BX is small and does not carry charcoal and/or lighter fluid, nor any other camping supplies, so you need to have those before you get here. If you are an outdoorsman-type, there are plenty of things to see and do in the local area. There are lots of museums, state parks, beaches, fishing, and tours in nearby Warrenton and Astoria. Now for the not-so-good: this IS, primarily, a National Guard, State Police, Sheriff's training facility! So, expect lots of shooting and training operations during all hours of the day and night. Training usually, does not go past midnight, but they did conduct nighttime operations while we were there and it was a bit noisy. The following day, they were shooting at the range behind the campground all day long, but stopped at around 1630. 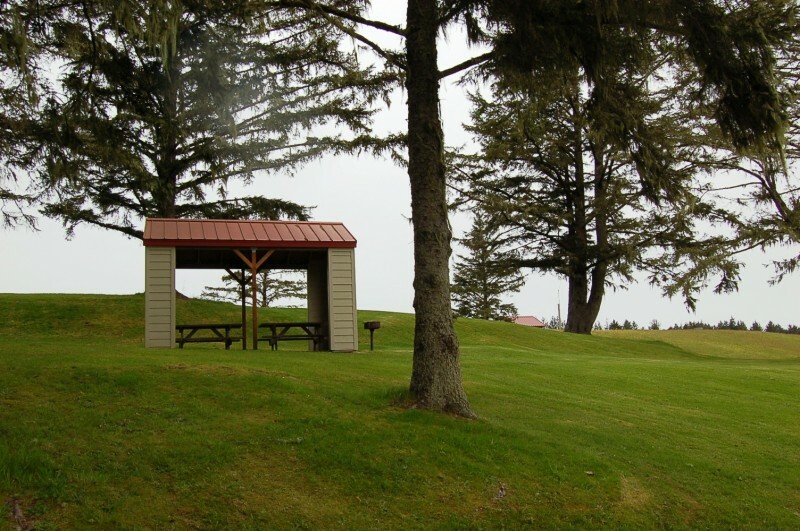 All-in-all, this facility is a first-rate campground for the price and great value for tent campers ($5/night), BUT there are only three tenting spots, each with its own pavilion and two picnic tables under each pavilion; so, reserve, reserve, reserve! I was prepared for a spartan experience at Camp Rilea, and I wasn't disappointed, but I was surprised to find the restrooms so dirty. Turns out that in the last week of July (when I was there with my elderly parents) there's a wonderful bunch of people who host a camp for disadvantaged teens...like nearly 200 of them. Two of my friends, in fact, worked for this camp, and I think it's awesome. Unfortunately, and rather amusingly, the young campers begin their day with an o'dark thirty reveille of a sort you and I have never experienced: Tween music (think Justin Bieber or Taylor Swift pound, pound, pounding you into wakefulness) at MEGA DECIBELS! 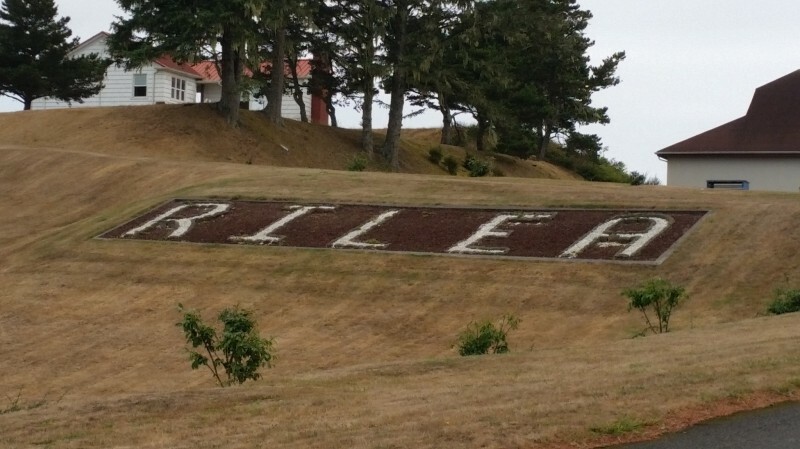 So, while it is indeed very, very cool to be able to visit the Seaside/northern Oregon coast area at a fraction of the cost, and it is indeed true that the staff there are very friendly and nice....I promise you...you don't want to be there in the last week of July. After a couple of requests, they did clean the restroom (thanks Sgt B), and it turns out the teens were mostly the reason it was such a mess, but just beware...this post is used by the community for all sorts of things. In fact, Camp Rilea, as the central location in the county, is also, believe it or not, the rallying place should a tsunami hit the area...unfortunately, it is also in the most vulnerable spot on the coast to be hit (so I was told) by tsunami waves. In any case, enjoy the area, the staff, the ocean and views....but unless you like 200 teenagers...(and I'm not saying I don't)...don't go during the last week of July! Very easy access. Right off Highway 101. Far enough off the highway that you cannot see or hear any traffic. 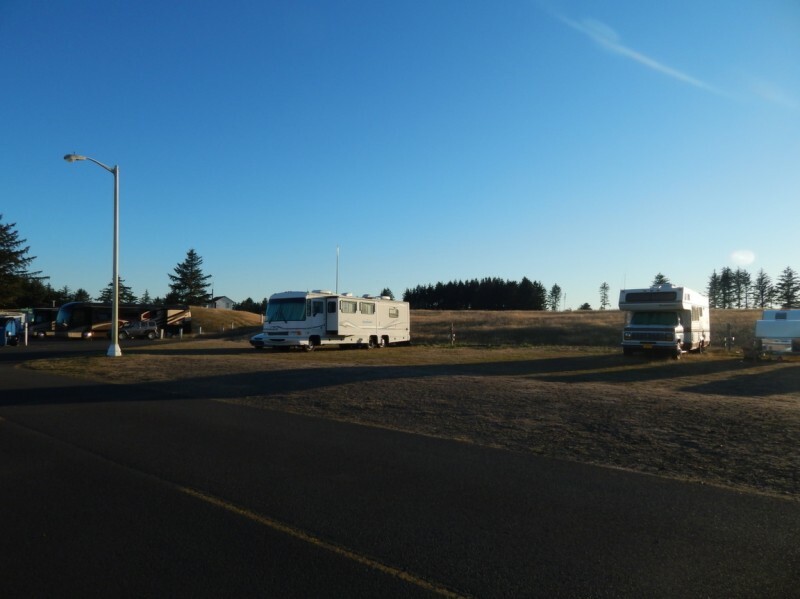 The camp ground is a paved parking lot that is always clean. The restrooms are clean and warm. Very close to Warrenton, Seaside and Astoria. There is a restaurant on the post but the hours are limited. There is a large elk herd that hangs out here and they are nice to watch. Great hiking and bicycling. Right off Hwy 101. Extremely easy access. Nice paved sites. Wi-Fi no longer available at the snack bar as it is closed. Now available at Koski Hall bldg. 7300. Koski Hall is their answer to Gateway Inn or similar. There is no one on duty in the building, however. All it has are rooms so if you don't stay in one of the rooms your only recourse is access Wi-Fi from the parking lot. It works good though. So, for those of you that don't know, Camp Rilea is a TRAINING POST, so if you have a problem being surrounded by Soldiers doing what they need to maintain their proficiency and preparedness to protect your freedom, perhaps you should go to the KOA where you can get eaten by bugs. As far as the scheduling goes, reservations are limited because this is a great place to stay! It's safe, clean, but in high demand. If you get moved a lot it's because you waited to the last minute to get a reservation and reservations get limited. They don't subscribe to "good ol' boys", it's first come, first serve, and leftover and last minute people get the scraps. If you don't like it, you could always go pay $180 in the local hotels. Sad, that our military people get bad raps towards those that serve because people think this is a resort. Stayed out there all the time and NEVER had a problem. This is a no frills, honest, little addendum to the coast that offers an opportunity to be reminded what military affiliation is all about.